Glamorè is not just any other project. It's being built for a purpose. To appeal to your rich taste. To celebrate your arrival. A world out of this world awaits you the moment you step out of your magnificent abode. Being part of the 45-acre Hills & Dales society with wide and well-developed roads and ready to use amenities, 24K Glamorè promises a planned life from day one itself. Beautiful villas in the vicinity, landscaped gardens with unique water bodies and rejuvenation facilities make sure you are always surrounded with the best that life has to offer. 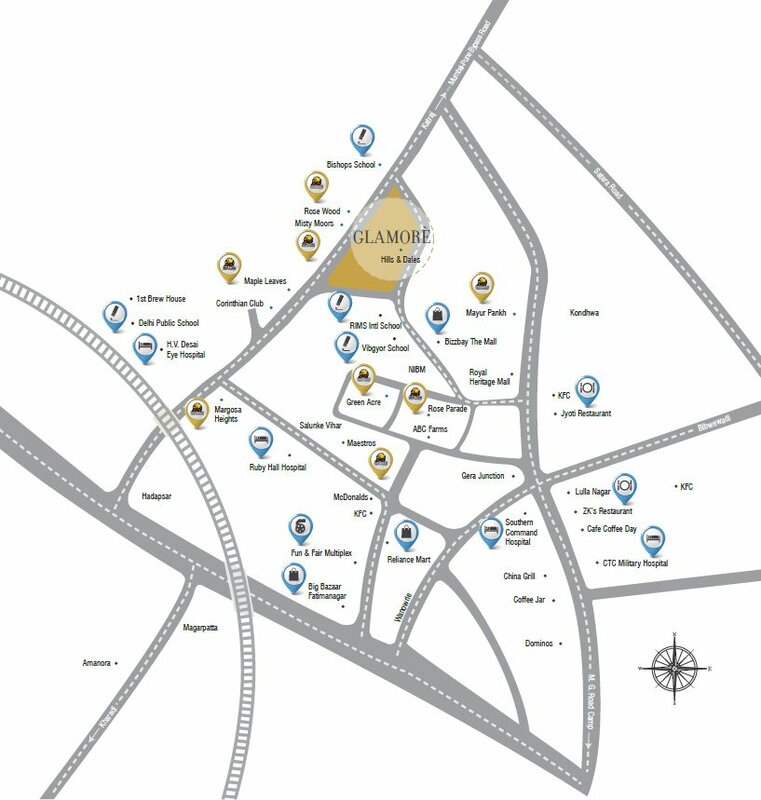 24K Glamorè is located at Undri, NIBM Annex in South Pune amidst miles of green trees and shrubs surrounding gently rolling hills. The project scores on close proximity to well known schools, hospital and convenience stores and is well connected to Central Business district. Penthouse, Garden Homes, 3 & 4 Bedroom Appartments Available.